Light control solutions are getting to be extremely popular for medium to large properties and industrial spaces. They provide ease, safety as well as energy cost savings. 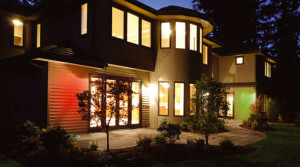 Envision arriving home during the night with your driveway and outside lighting already lit. Make the perfect lumination for just about any activity or create moods in particular regions of your house or workspaces, all with the touch of a button. When you disarm the security alarm prior to entering your house: the “welcome home scene” instantly lights up a number of lighting through the house, soothing pools of illumination warm the halls and passageway to your kitchen. Basically having key entry ways in addition to landscape lighting illuminate to offer security and a inviting experience. You are able to control each and every light circuit in your home with a single button. When you sleep during the night you may set the entire home to sleep with the touch of a “night scene” option. This system features a built-in astronomical timer to know when dawn and sundown are. The security and outside lighting can be conveniently activated at Sundown and switched off at dawn. The light control system may be incorporated with movement sensors that you can use to activate lighting to come on in restrooms, dressing up spaces, pantries and hallways. Whenever no movement is detected lighting will conveniently dim lower or turn off. When the security alarm beeps it may activate a “security scene” which activates particular lighting outside and inside the house. Going away, help your house to look occupied even when you are not really there. Each and every light circuit in your home is linked and could be managed or activated according to various situations. Scenes and moods may be established not only to improve your dinner nights yet dimming back your lighting by 20% doesn’t only save electrical power but will certainly enhance lamp life, an electric power and expense saving. Light scenes may be easily activated with a button or may be connected to an event or perhaps time based.